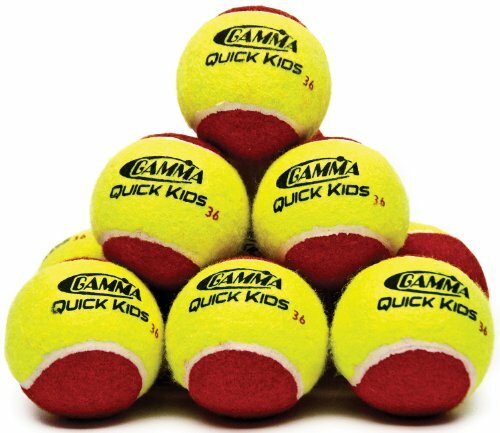 GAMMA Quick Kids 36 tennis balls are designed for kids learning to play tennis on a 36 foot court, short court or driveway. These balls are larger and softer than standard yellow tennis balls, with a lower bounce (-75 percent), making it easier for kids to hit the ball consistently. Quick Kids 36 tennis balls conform to the USTA QuickStart Tennis format and ITF Stage 3 standards.